The Civil War was a very bloody, violent, hateful time in American history but it also had a humorous side to it. So I will regall you my readers with a story from the lighter side of the war. Herman Haupt had been having a very hard time getting his trains to their destinations due to the fact that Pope wanted to control the railways. Haupt went to the secratary of war and got an order saying that he was the commander of all the railrodes in the east. So once he got all the railrodes straightened out he was ordered to transport a battalion of untrained civilians to the battlefield at Mannassas during the battle of Second Manassas. On seeing the new troops (that were all drunk) he transported them but commented to an aide that I have been ordered to take them to the field but have not been ordered to bring them back. So he left them on the battlefield. They eventually got back to Washington by bribing some ambulance drivers to take them instead of the wounded back. This is a very funny story. Which I found in the book Mr. Lincoln’s Army by Bruce Catton. I wish you all a great thanksgiving. What in this country do we have to be thankful for? You know some countries don’t have any of those things especially God.I encourage you reader to make a list of all the things you are thankful for and share them with your family. you will see how much you truely have. Here is the continuation of pt 1. Robert Edward Lee’s military career began as an engineer at Fort Pulaski on Cockspur Island Georgia. 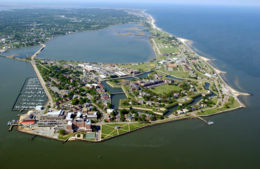 In 1831 he was stationed to Fort Monroe as an engineer also. He was assigned to assist in the engineering of the fort. Where he stayed until the outbreak of the Mexican War. Also while stationed at Fort Monroe he married Mary Anna Randolph Custis the great Grand daughter of Martha Washington. Robert continued his military career during the Mexican War. He served on the staffs of John Wool and Winfield Scott. He gained the most distinction while on Scott’s staff. He gained three brevets one for his actions at the battle of Cerro Gordo. At this battle he found a mountain pass that when taken allowed General Scott could surround the army of Santa Anna. He also fought at the battles of Contreras, Churubusco, and Chapultepec where he was slightly wounded. During the Mexican War Lee became acquainted with Ulysses S. Grant, to whom he would later surrender the Army of Northern Virginia to. 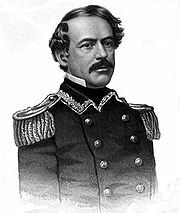 After the Mexican War he served as an engineer in Baltimore until 1852 when he was appointed as the superintendent of the United States Military Academy at West Point. While he was serving as superintendent his son George Washington Custis Lee graduated from West Point. Robert hated the mundane duties of superintendent and asked to be reassigned to field duty. He was given command of the newly formed 2nd U.S. Cavalry in Texas. It was Lee’s first substantial promotion since 1838 where he received a brevet promotion to captain. While in Texas Lee fought the Comanches and Apaches. He served here until 1857 when the death of his father-in-law made him return to Arlington to settle the estate. The settlement of the estate kept him in Arlington until 1859 when John Brown and his cohorts attempted to take Harpers Ferry. Lee played an integral part in the affair at Harpers Ferry. John Brown along with twenty-two other men captured the arsenal at Harpers Ferry. , Robert E. Lee along with his force of eighty-six marines and his Aide-de-camp James Ewell Brown Stuart was ordered by President Buchanan to capture Brown with out the effusion of blood if possible. On the morning of October 18 Lee and his men ordered the surrender of Brown and his men who in turn refused and the shots began. Ten of Brown’s Twenty-two men were killed these included his two sons and two black men, seven men were captured two of those captured were captured later on, and five men escaped. Lee also captured John Brown was captured after being shot in the leg and hit on the head with the handle of a sword. He was eventually tried and hanged on charges of treason towards the United States. This is event was a catalyst to the Civil War another war in which Robert E. Lee would serve with great distinction. Part 3 will come shortly.I will try and get it out faster than I did Part 2. Sorry about the wait. What do you enjoy most about being in America? What would the country be like if we didn’t fight in any of the wars we did? What would the country be like then? It would be a horrible place. A country run by monarchy or by a dictator? You have first God to thank for allowing you to live in such a country and second the veterans to thank for fighting to keep America a country under God. By the people, For the People, and of the People. 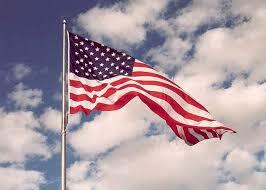 God Bless America and Her veterans. Under the willow, the Gray. Under the lilies, the Gray. Mellowed with gold, the Gray. Wet with the rain, the Gray. When they laurel the graves of our dead! Exult, O shores, and ring O bells! 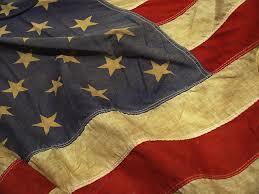 It made and preserves us a nation! Have the power to conquer or sunder! Oh, keep that flag flying! – The pride of the van! To all other nations display it! The ladies for union are all to a – man! But not to the man who’d betray it. To make a dreadful fight. And made the rebels smoke. And gained the city’s rear. Who wears the army blue.